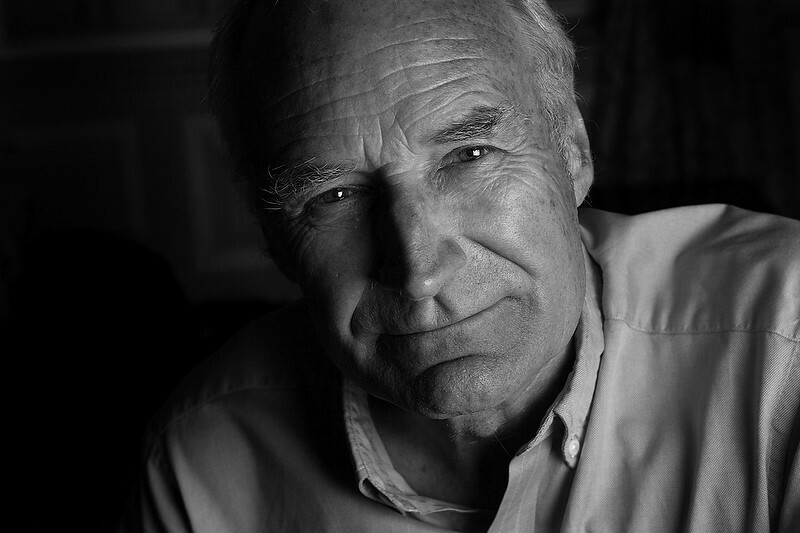 Peter Snow, BBC sephologist, journalist and newsreader photographed after an interview at a central London hotel for a “My Best Teacher” feature for the TES Magazine. He had a book and a TV series with his historian son at the time and the interview was one of a long series that he had already done that day. The room was cramped and poorly lit and so I used a medium sized soft box very close to him to keep as much light off of the background as possible. One picture editor that I worked with used to call this very tight crop the “egg cup” because it was as if someone had flattened the top just like one. A very focussed capture, great lighting, draws attention to the eyes.